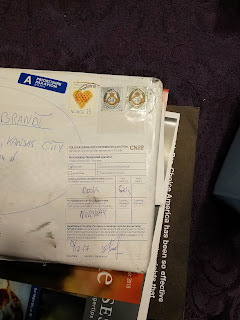 Today a surprise package came in the mail. When I saw the envelope was mailed from Norway, I knew it was from longterm client Stein. I have not heard from him in a year. Matter of fact, I got family pics from him the last time he was in North Dakota and knew he was doing another family tour in America. The a3Genealogy crew connects clients to overseas cousins. We usually do a genealogy booklet, verification with DNA, and we collect as many pics and artifacts as we can for the client. Many of our clients are looking for "off-the-internet documents. They have come to dead-ends on the internet, but know there's a lot more information floating around, or "archived." a3Genealogy is now known for creating travel guides, and even setting up meetings for cousins. It's our off-the-TV version of Who Do You Think You Are, but just as exciting. There's the Australian South Pacific client who connected with her biological family from WWII in the Ohio. Then there's Mary Ellen of Effingham, IL who brings her ancestors alive in books, on stage, and in historical presentations. And the descendant of a WWI - WWII soldier who we traced and mapped throughout Iceland and Europe so he could follow the footsteps of his ancestor and the troops. There are so many reasons to do genealogy, but to create a space for your ancestors to have life, is so special. We also find out a little about ourselves by meeting these distant cousins. So when I opened Stein's book, and found this compilation of his genealogical research of Helene, I melted. Helene Fauske was most fascinating as she worked for Rockefeller, Standard Oil, and was working in their Asia offices for the American Board of Commissioners for Foreign Missions (ABCM). Read the section about Women in the Mission to get research tips: Ancestors Who Joined Missions. In addition to vital records we uncovered business and personal correspondence, photos and newspaper articles on her movements. 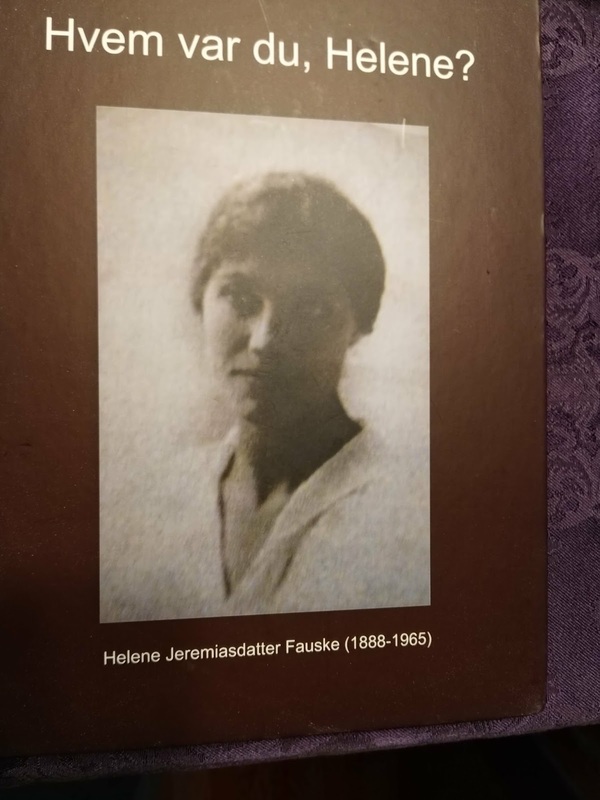 a3Genealogi gjorde en søkejobb, og fant Helene Fauske. de fant de to pleiehjemmene hun bodde på, og kan bekrefte at hun døde på. Dokumentene fra begravelsen viser at Helene aldri giftet set. a3genealogi bekrefter at hun mottok en pensjon fra standard oil pa 2500 i maneden. a3genealogy did research and found Helene Fauske. They found the two nursing homes she was living in and confirmed her death date. The documents from the funeral home showed that Helene never got married. a3genealogi confirmed that she received a pension from standard oil at $2500 a month." [This was based on the nursing home/court papers]. 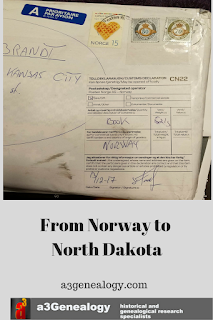 We connected Stein to his unknown North Dakota cousins. They had the other half of the story. 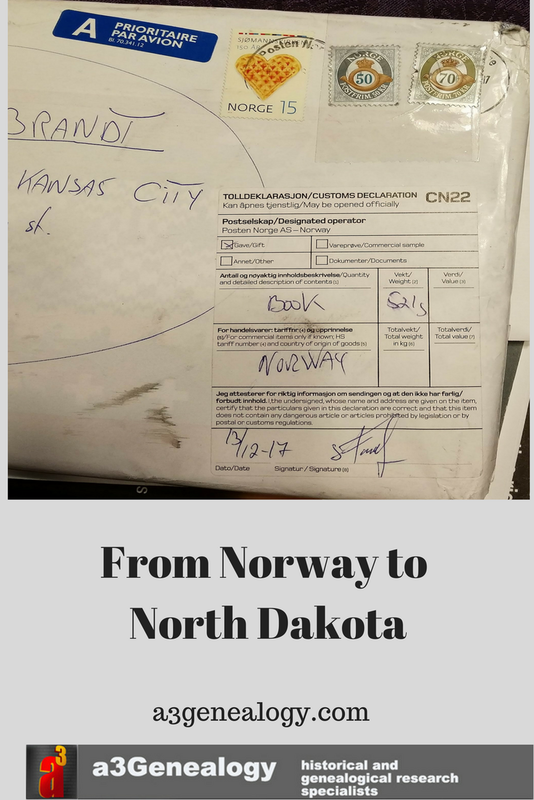 Family pics, the letters from Asia and NY, and so much more were just waiting for Stein in North Dakota. [Kathleen] had found some of her [Helene’s] descendants in Grand Forks. The lady I should be related to was Inez S. Drake. I was in doubt... Yet, her maiden name was Kjelsberg.. This name was known from previous research. I asked Kathleen to call Inez to see if she knew anything about Helene Fauske. [...] Inez was Helen's niece. Kathleen called me back with an invitation from Inez [to contact her]. It was just amazing... Thus I could start planning trip number two, but first a little more background material was needed. Note: Translations were done by me. I haven't been to Norway since the 1980's and I used Google Translate to assist in this loose translation. I just asked Stein if he was willing to make this book more widely available in America. I'll let you know his answer.